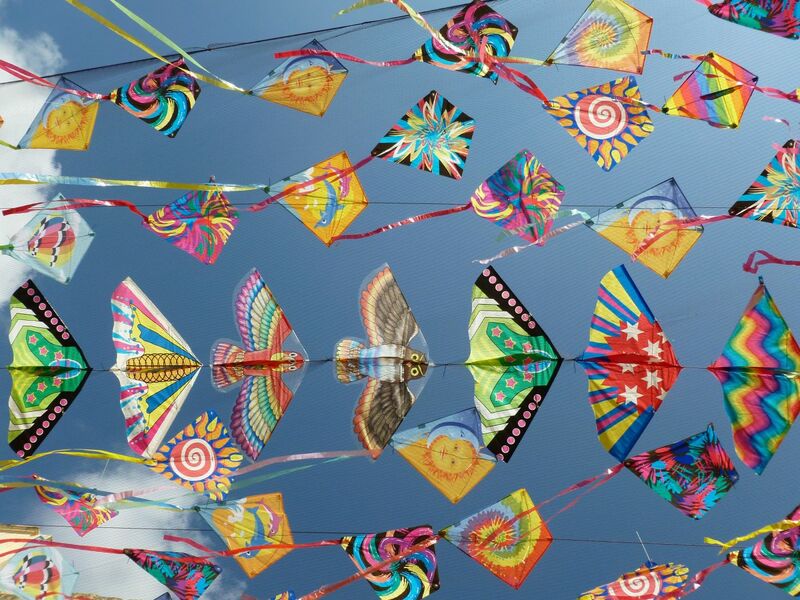 A long-standing tradition, which first took place in 1160, that is the highlight of the calendar in Gubbio. Every year, the “festa dei ceri” gathers all the people of Gubbio to celebrate and remember the life of the patron saint Ubaldo. On 15th may, the statues of St. Ubaldo (patron of bricklayers), St. George (patron saint of haberdashers) and St. Anthony the Abbot (patron saint of donkey breeders and peasants) are placed on 3 tall, heavy wooden ceri or pedestals (meant to represent candles). The ceraioli (pedestal bearers) carry the ceri on their shoulders and run down the city streets and then up to the basilica of S. Ubaldo on top of Mount Ingino. Before the race, the raising (the alzata) of the ceri takes place in Piazza Grande at noon and it’s perhaps the most spectacular part of the festivities. 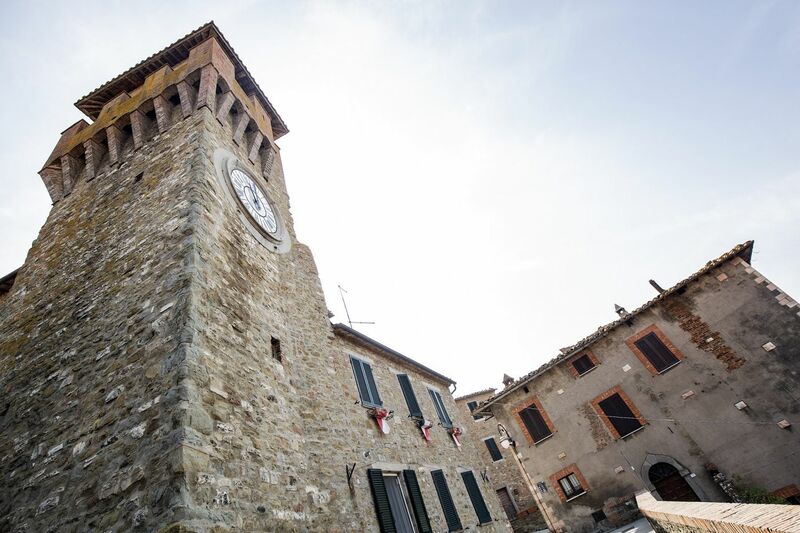 The entire town gathers in the piazza cheering the teams, frantic anticipation in the air, the flags waving and then the ceri rise against the sky – it’s hard to find anything that compares. During the afternoon, a procession with the statue of St. Ubaldo opens the main event, the race. The ascent up Mount Ingino then begins, to reach the basilica of Sant’Ubaldo. As the sun sets, a torchlight procession accompanies the statues back to town, a heartfelt moment of rare beauty. 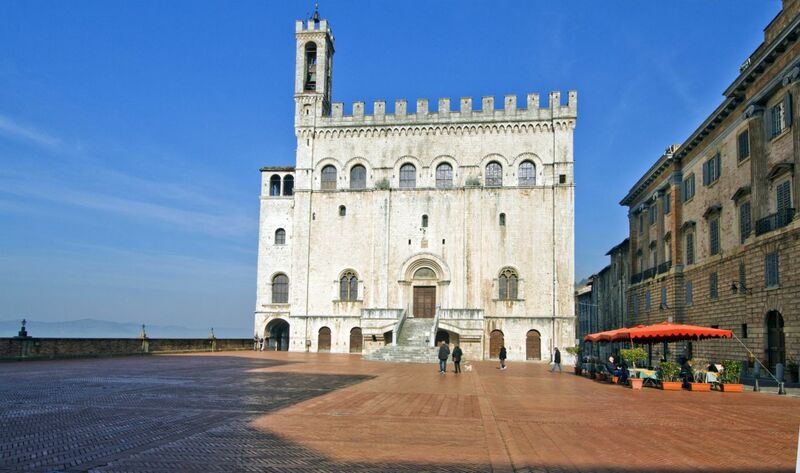 If you’d like to visit Gubbio during this event, we can arrange accommodation, transport and a guided tour for you. Click here to contact us and request more information. A unique opportunity to discover Lake Trasimeno at its best.